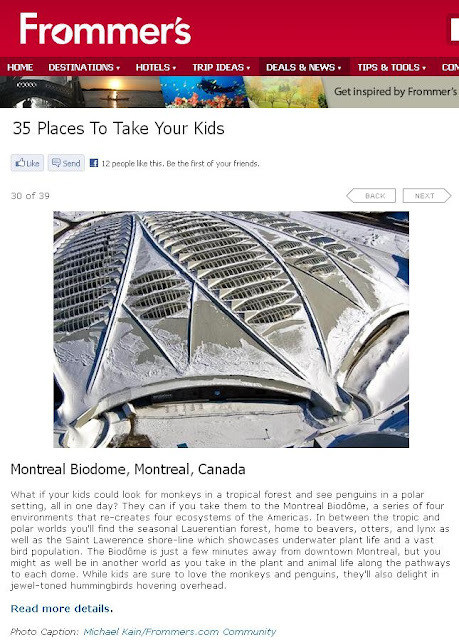 The next set from Frommer's online is the impressive BioDome in Montreal, Quebec. This shot as of today, appears in three galleries, here, here, and here. If you haven't been to or heard of Montreal's BioDome, click here for a quick primer from Wikipedia.